DAVAO CITY, Philippines - Davao City Mayor and first daughter Inday Sara Duterte-Carpio has announced the First Family’s newest blessing through a statement on Friday, August 19, amidst the Kadayawan Festival. 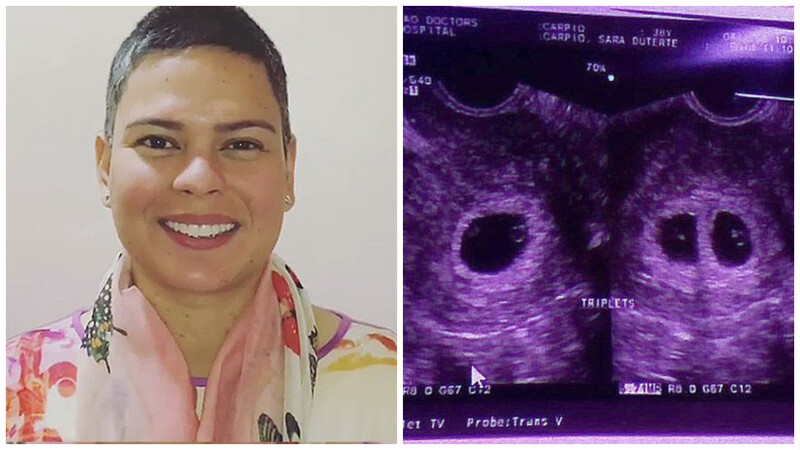 Mayor Inday Sara Duterte: Soon-to-be Mother of Triplets. The 38-year-old mayor revealed that she is pregnant with triplets and is on her seventh week. "The human body is made to carry just one baby and I am experiencing threefold all the pregnancy symptoms that a woman goes through,” Sara said. Because of her sensitive condition, Sara was advised by her doctors to avoid crowds to lessen her chances of getting infection. It could be recalled that Sara took a three-week leave of absence in the first day of work on July 1 and missed her father’s State of the Nation Address (SONA) on July 25. Apparently, Sara was rushed to the St. Luke’s Hospital upon her arrival in Manila. Despite her challenging situation, Sara assured her constituents that she will continue to work until she is allowed by her doctors to do so. She also stressed that she is “on top of the situation” in her city. Communications Secretary Martin Andanar said on Friday, August 19, that the President is “delighted” with the news of Inday Sara’s pregnancy. "Mayor Sara's pregnancy serves as a source of inspiration for the Chief Executive to roll up his sleeves and work double time in his fight against crimes and drugs," Andanar said in a statement. The only daughter of Duterte with former wife Elizabeth Zimmerman, Sara is married to Atty. Manases Carpio with whom she has two kids, Sharky and Stingray. Currently a grandfather of 9, Duterte has 5 grandchildren from eldest son Paolo, two from Sara, and two from youngest son Sebastian.